Forearm from #7,308 is a first style ejector forend with the Rock Elm insert. The automatic ejector mechanisim developed by Winchester required that more walnut be removed from the rear of the forend making that area prone to cracking. Winchester addressed this risk before it became a problem by milling a cut in the rear of the forend and inserting a thin Rock Elm waffer giving the area more lateral and vertical strength. In May 1948 Winchester decided that the waffer wasn't needed and to reduce cost it was discontinued. Notice that the forearm from #7,308 is an inch shorter than the standard beavertail and is checkered with a modified kidney pattern style. 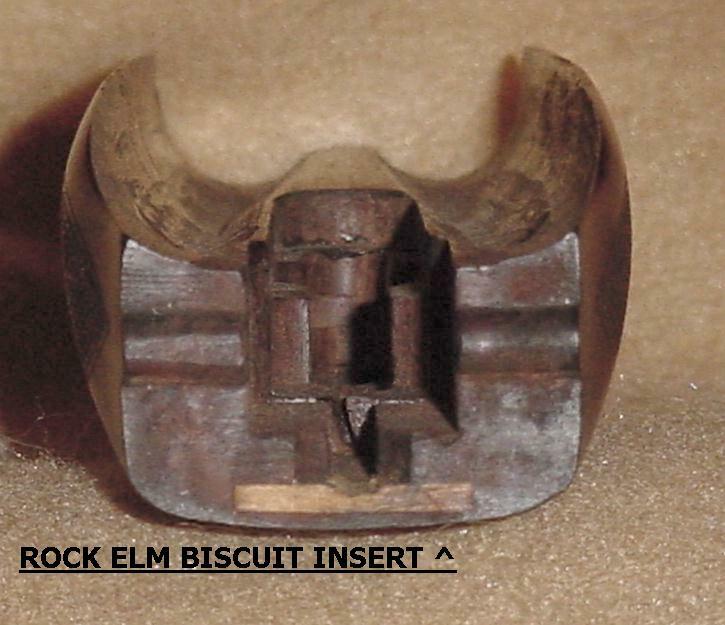 The Rock Elm insert is the first modification to blueprint Beaver Tail Forend 20 Gauge, Feb. 20, 1931, dated May 22, 1931. The notation on blueprint of Forend Assembly, 5-19-1938, dates the Rock Elm insert's removal to May 26, 1948.